While at the Barrett-Jackson car auction, I came across a booth for Blast Masters in West Palm Beach, FL. I spoke with Steve, the owner about the benefits of Soda Blasting vs. Sand Blasting car bodys and parts. 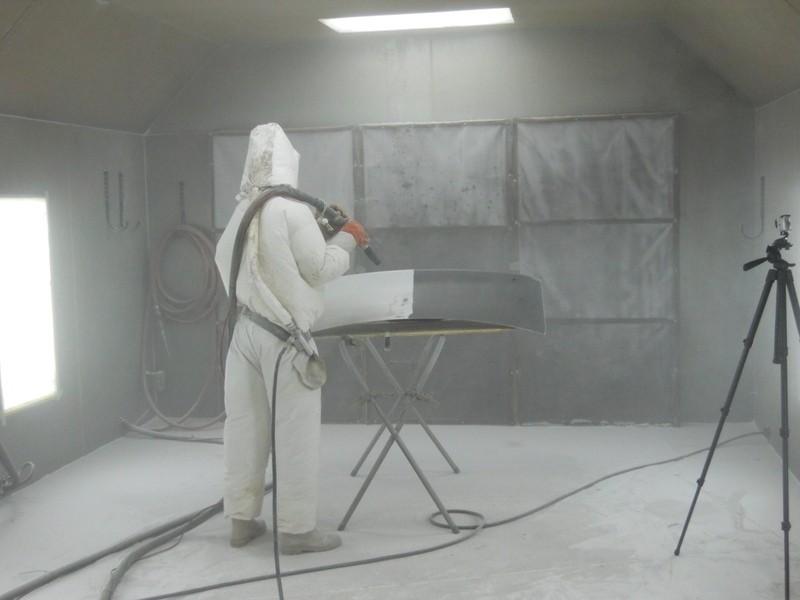 Baking Soda Blasting is a process that can strip almost any surface in an efficient and safe manner. 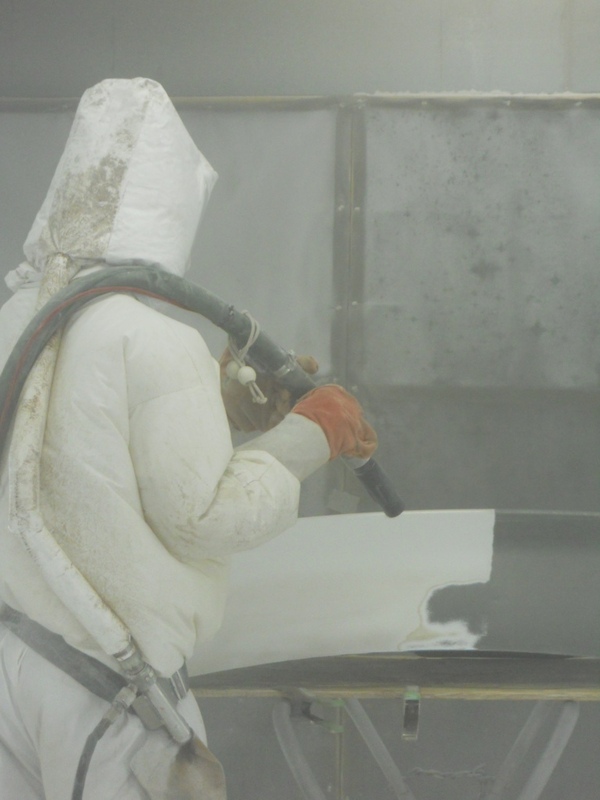 Although similar to traditional Sand Blasting, Baking Soda Blasting has the significant advantage of cleaning the surface without causing harm to the substrate material or the environment. 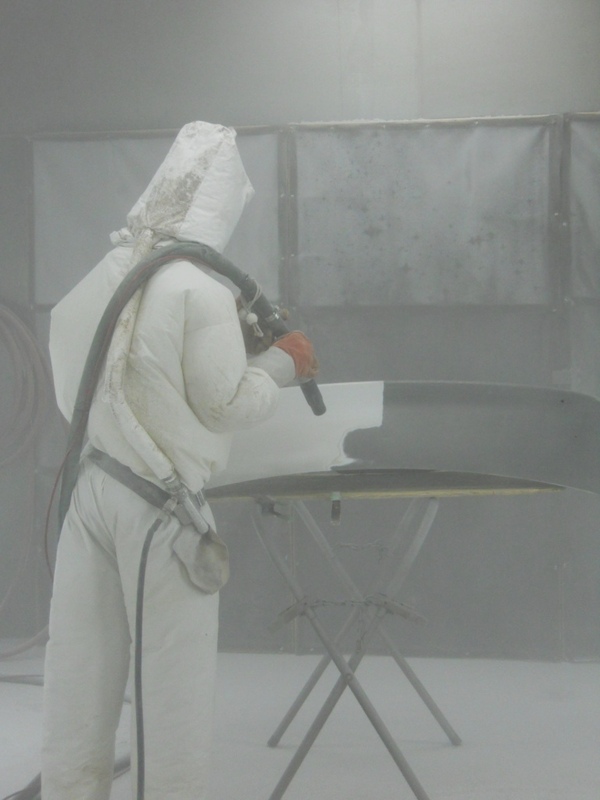 Baking Soda Blasting easily removes paint, coatings, grease, oils, gasket materials and surface corrosion from a variety of metals, alloys, plastics, wood, masonry and composites without surface damage or distortion. Unlike other media, Baking Soda Blasting does not use friction to remove coatings, so there is no heat created. This prevents warping and pitting of the base material. I thought this would be an ideal process for removing the multiple layers of paint from the exterior body panels of the POS Cobra. Also, since he works on an appointment basis, I would not need to leave the car or any body parts with him for long periods of time. 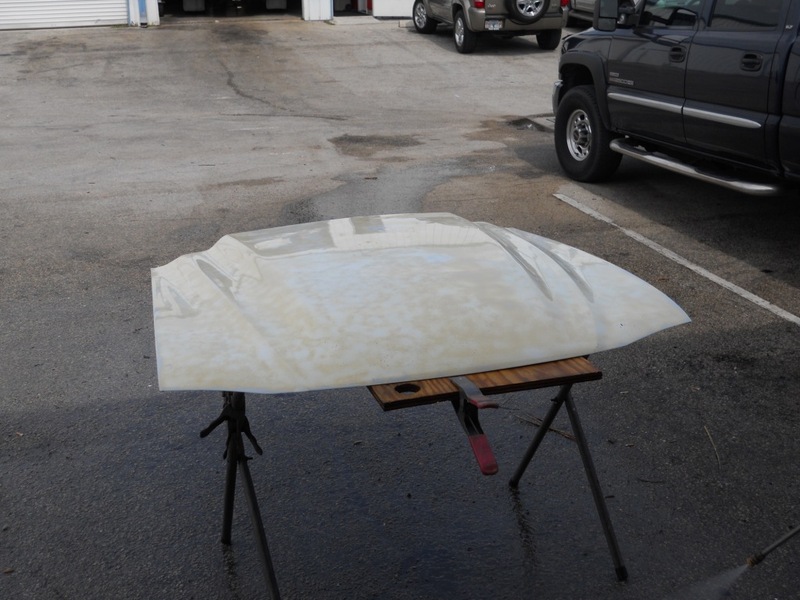 We started the process with the Cobra deck lid and fiberglass Cobra R hood. 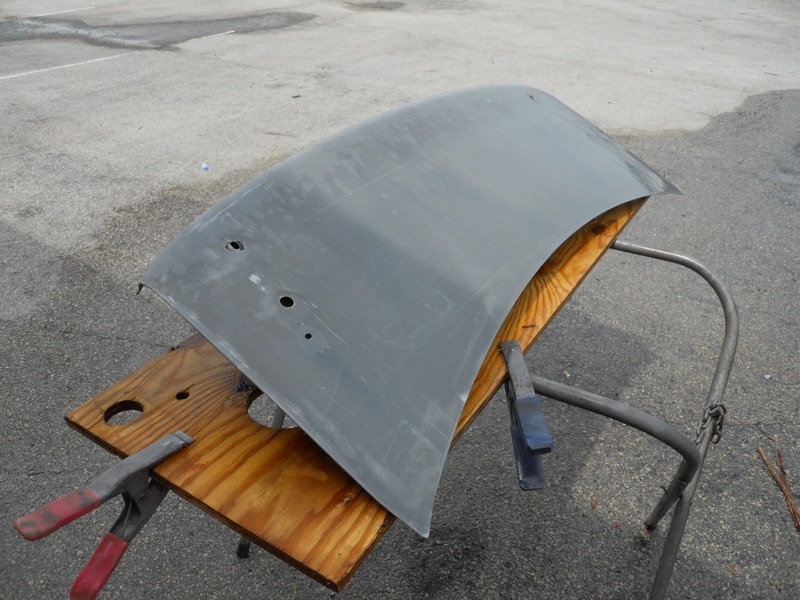 The outside of the hood and inside and outside of the deck lid were blasted. 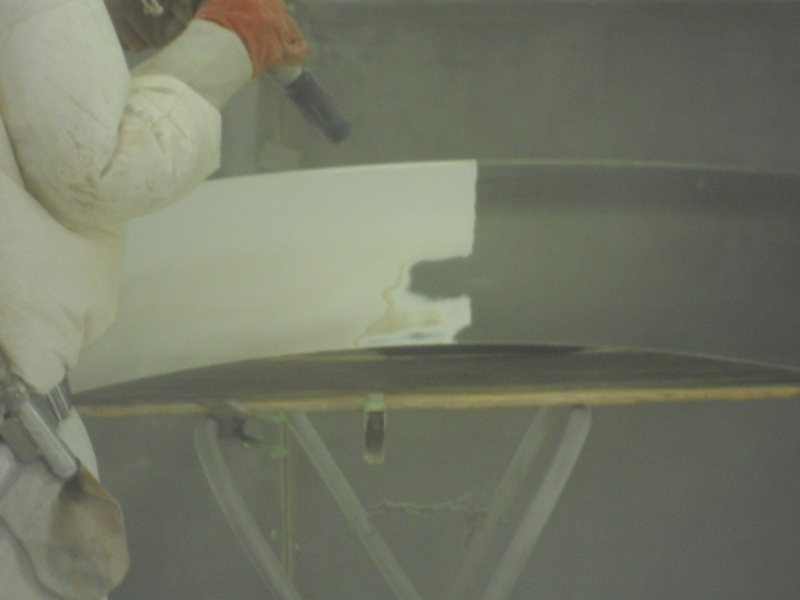 In the pictures below, you can see the individual layers of paint as they are removed. It's hard to tell from the pictures here, but he is NOT going to bare metal. 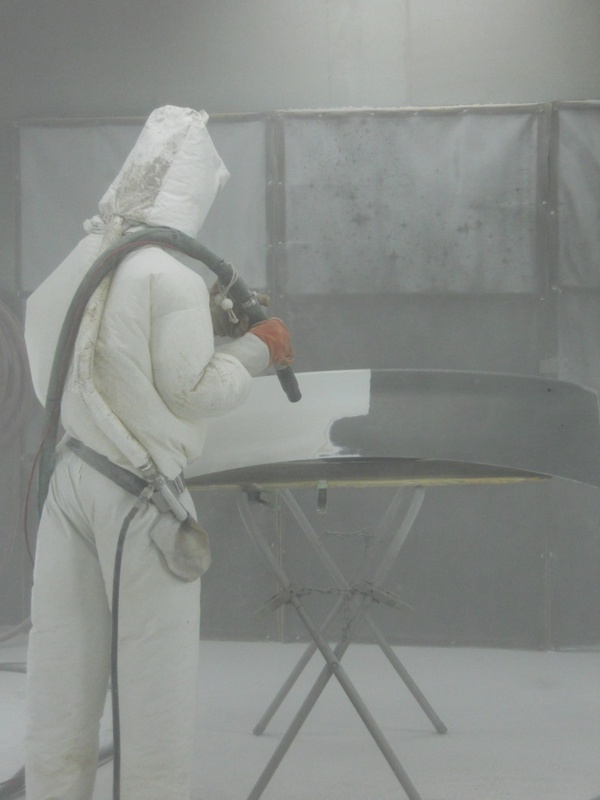 He is leaving the factory e-coat primer on the metal. After the Soda Blasting is complete, a thorough cleaning of the parts is necessary. 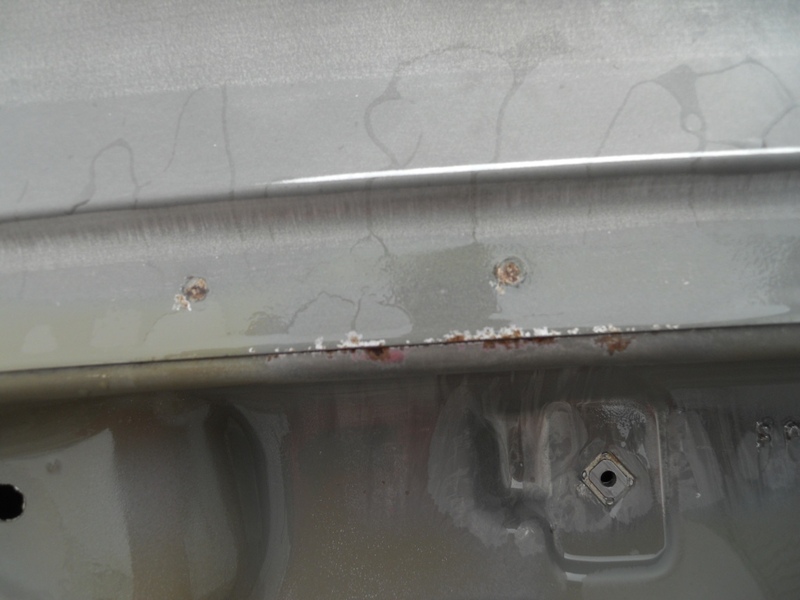 In this series of pictures you can see the corner of the deck lid had some previous body work done. You can see the difference between bare metal and the factory e-coat. You can also see some rust on the seam. 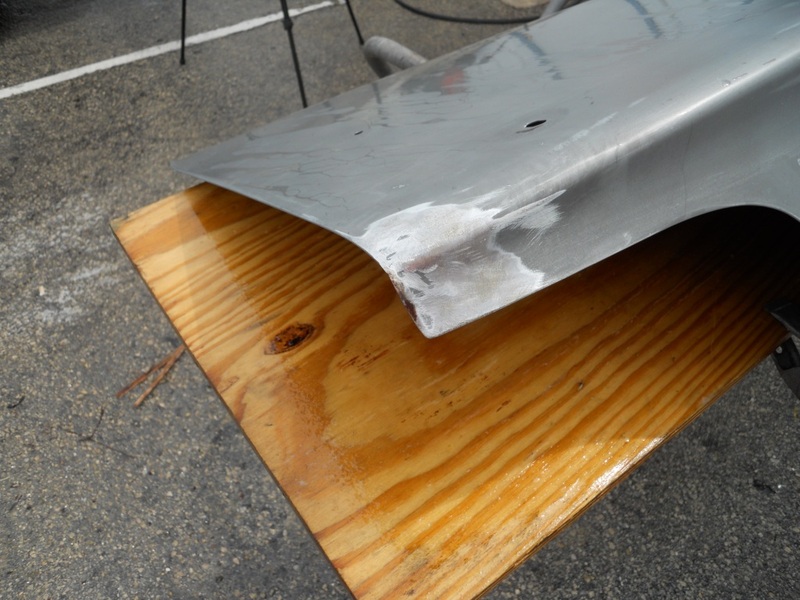 Baking Soda Blasting is not for rust removal. Blast Masters can do media blasting also for rusted items that require a more aggressive abrasive. 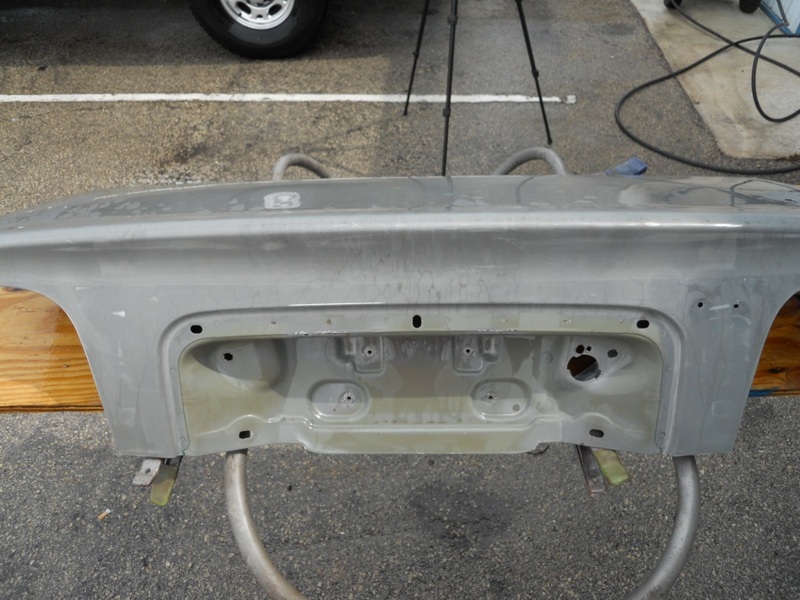 The hood is blasted and cleaned, same as the deck lid. 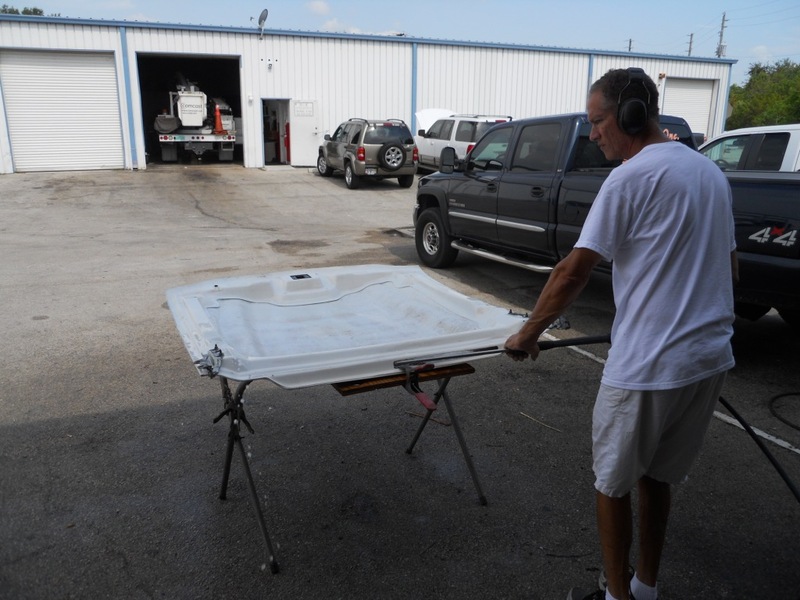 Soda Blasting is a great way to remove paint from steel and fiberglass parts.